Every week while growing up in my mum’s house there was always a pot of beef, chicken, pork or a mixture of bones simmering on the stove. The broth would turn into this gelatinous goop in the fridge that I thought was disgusting. 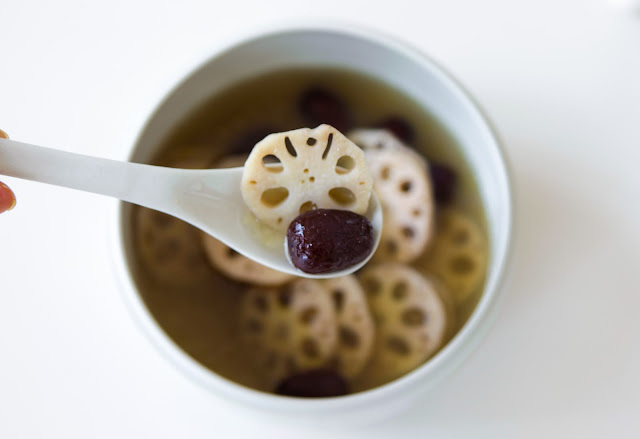 This gelatinous goop once warmed up, turned into an amazing base for our noodle soups full of gut healing, immune boosting nutrients. 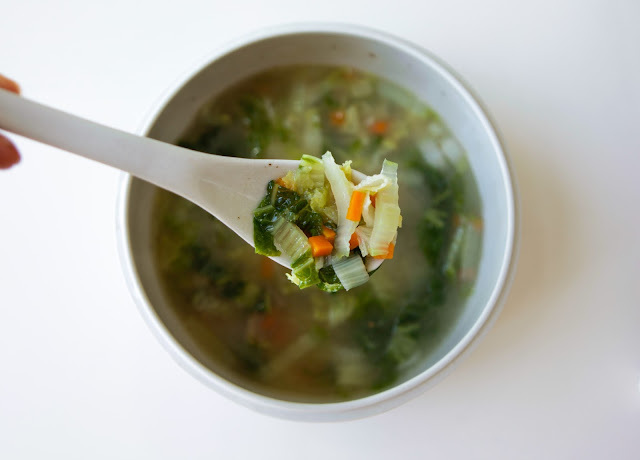 Little did I know how nutritious this bone broth soup was and that I would be making it each week for my family. 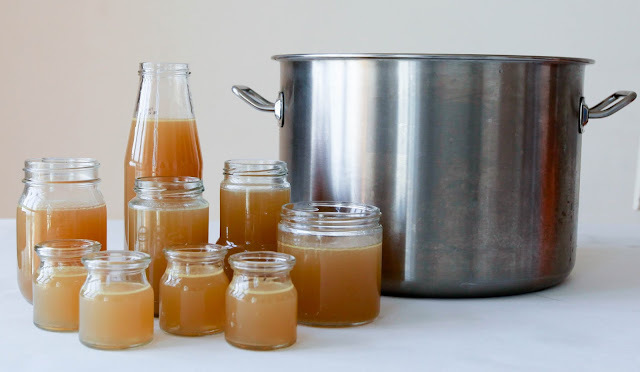 Making your own bone broth is easy and cheap. I like to save up all our bones, chicken carcasses and other bits like neck & feet and freeze them until I have enough for a pot. I really recommend this especially if you are paying a lot of money for organic free range meats, if they come with bones don’t toss them out. 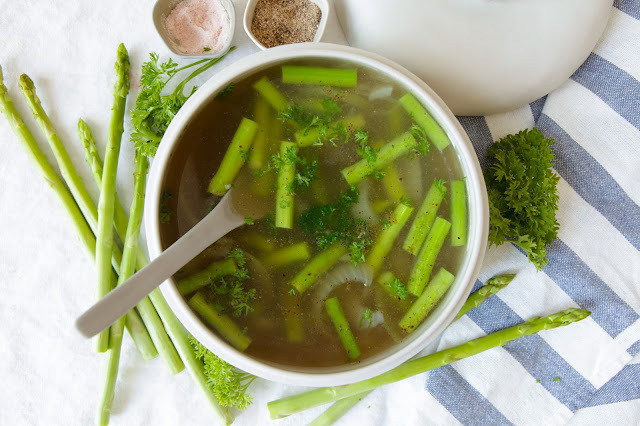 You can read more about the benefits of bone broth here on Dr Mercola’s website which is highly detailed and informative. [Update April 2016] – If you have been following me on Instagram or Facebook you will have seen my #makebonebrothtasty posts. I have been battling an autoimmune disorder and my Holistic Doctor has prescribed bone broth 3 times a day. I found it hard to fit in on top of meals so I’ve made bone broth my main meal. After the first week I already experienced an improvement in my fatigue and joint pain, although not entirely cleared, I am more functional. In between I’m sticking to juices and fresh vegetables and some fruit. I started #makebonebrothtasty for a few reasons. I was quite down with my current situation as my fatigue was so severe I was not leaving the house, I also was not able to work on new recipes which requires a lot of taste testing. I decided to make the most of what I could have, which was bone broth. So each day I’m creating a new way to have my bone broth and styling the bone broth soup so I can feel like I’m creating something! This has been such a healing and fun process. It has also been very easy to follow, I’m grateful I already had some of the knowledge on eating the right foods so the transition was quite easy. 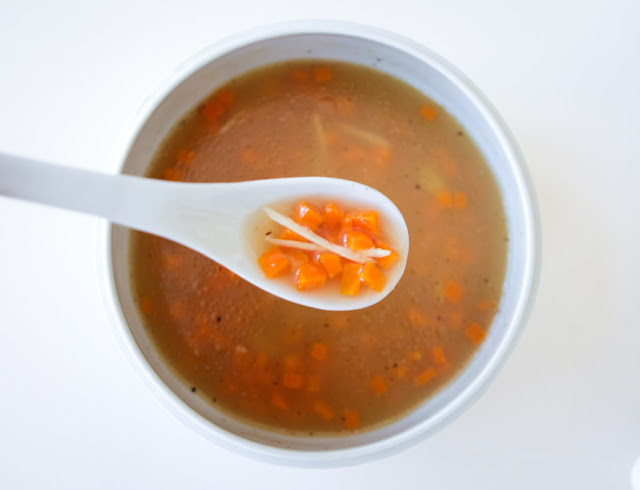 I found having bone broth meals 3 times a daily very convenient and cheap. I was making a weekly batch of broth using the stove top method as I have a mega large pot and stored the broth in the freezer to take out each day to thaw. Since I have so much bone broth now, I am making a fresh pressure cooker batch daily instead as it keeps the stove free and the kitchen cooler. 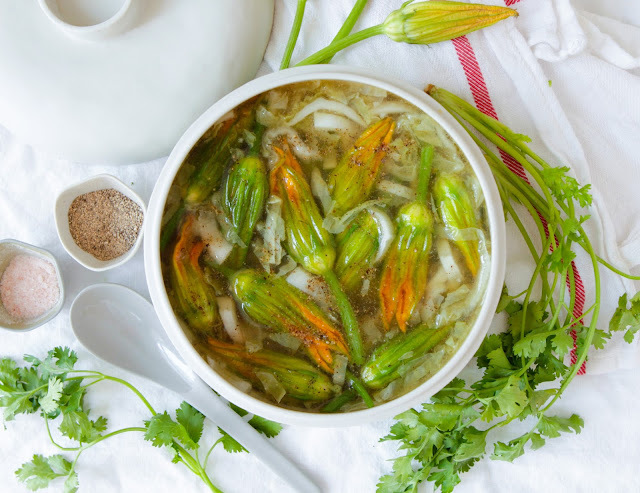 There are so many ways you can make bone broth, with different mixes of bones or adding herbs and spices. Using the stove, pressure cooker or slow cooker. I’m going to list all 3 ways below so you can pick and choose which ever works best for you. 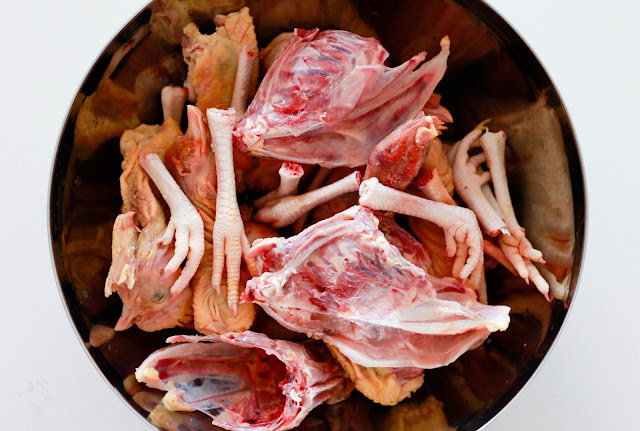 This version you can use any type of bones, I don’t have access to organic beef bones so I use chicken or a mix of pork and chicken bones, salt, water and apple cider vinegar. It’s important to use different types of bones that have cartilage, joints, some meat or marrow. I don’t add any herbs or vegetables as I like to keep it plain and flavour it once I’m ready to use it as it’s also simmering for a long time on the stove. This way I can use it in cooking where stock or broth is needed for meals like congee or stir fries or to make a quick ‘cup-a-soup’. You can check out my recipe page for ideas on using bone broth and how to turn a simple bone broth into a delicious starter or meal or follow me on Instagram orFacebook where I post my bone broth combinations (I’ve shared some at the end of the post). This pot can sit on the stove for up to 2 days, and you can take a few cups from it after 3 hours of simmering. I have used all types of bones including beef bones (when I was back in Sydney) and chicken bones, apple cider vinegar and salt to draw out the minerals from the bones. 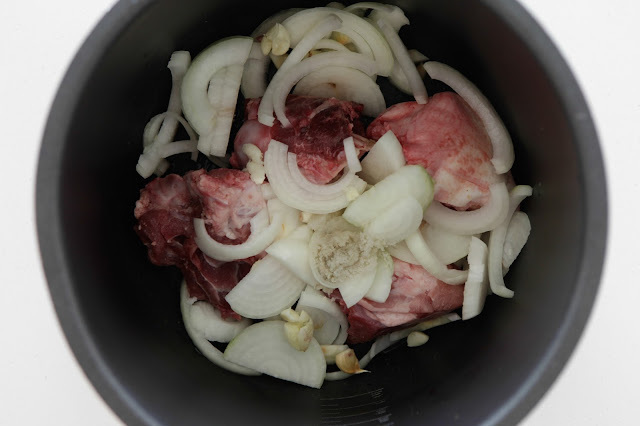 I sometimes leave it plain but mostly with this version I plan on consuming it straight away so I add 1 onion sliced and a few cloves of garlic since it is only cooking for 45 minutes. 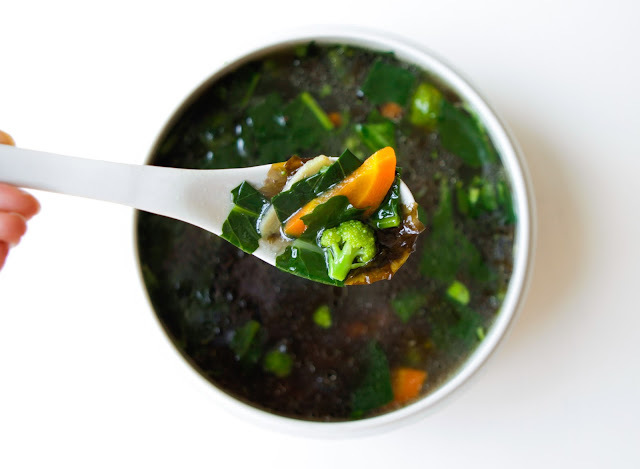 I find broth made from beef bones much stronger and my kids don’t like it as much as pork or chicken. 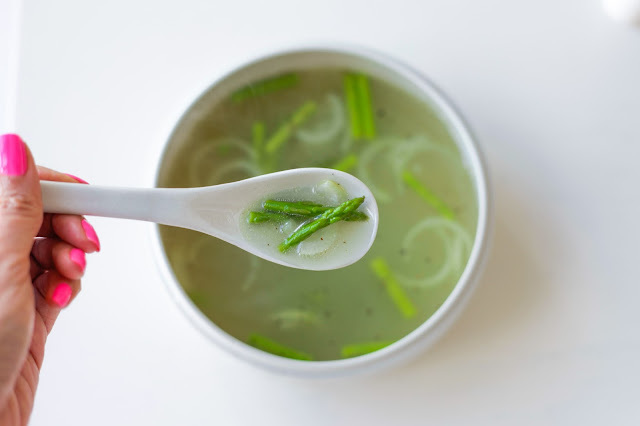 This is my favourite way to make bone broth quickly and since I’ve been having bone broth as my meals 3 times a day I use this version a few times a week as I have been eating the meat, cartilage and fat off the joints as part of my healing diet. The pressure cooker version is probably my favourite now since I have been consuming broth as my meals 3 times a day. Use any bones you like, we use pork and chicken mostly at home and I do not any other herbs or vegetables so I can use the broth in many different dishes. Just remember to add some apple cider vinegar and salt. Set the slow cooker to 8 hours (or the maximum) then reset again for another 8 hours (or the maximum) I do this twice as I find I get a richer more gelatinous broth. I don’t roast the bones first. My mum likes to par-boil them to remove the scum and any unpleasant smells but I don’t find it’s a problem, if you find your broth has a strong smell, par-boil and strain out the bones before making your next batch. 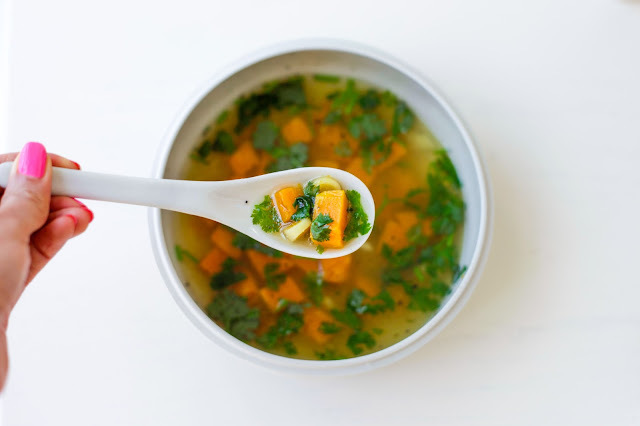 Pumpkin, ginger & coriander bone broth – one of my favourites! Wonderful! 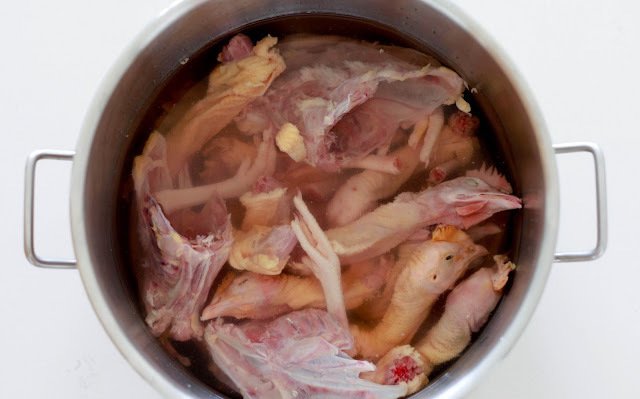 I am planning on making a very big pot of bone broth with our chicken bones form a harvest of 70 chickens. I see you used the chicken feet but I could not bring myself to use them. I think the kids would have rebelled! Do you let your broth cool before freezing in the jars and do you have to leave an inch or two so they do not crack when freezing? I remember doing something like that when freezing raw milk. Thanks for the yummy recipes!